olive oil, cocoa butter, calendula oil, beeswax, vitamin E oil, essential oil blend. 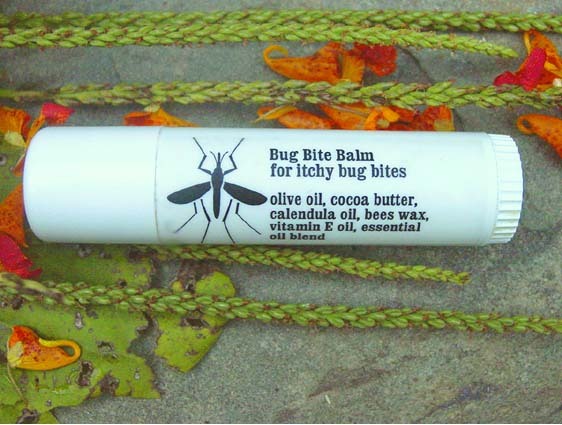 sooth itchy bug bites and rashes with a blend of essential oils suspended in cocoa butter and skin soothing calendula oil. hand made herbal skin care products utilizing organic herbs, natural ingredients, pure essential oils & cold pressed oils; heirloombotanicals.com meets all of your natural skin care needs.